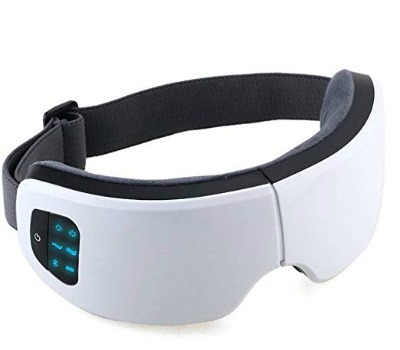 Any savvy traveler can attest the importance of a functional, compact, and versatile eye mask. Whether you’re embarking on a short road trip or a long-haul flight, these 13 eye masks are the perfect addition to your carry-on. 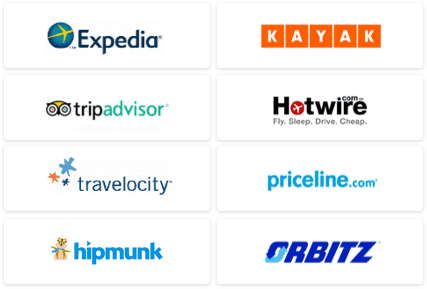 Get your beauty sleep in as you head to your next destination. 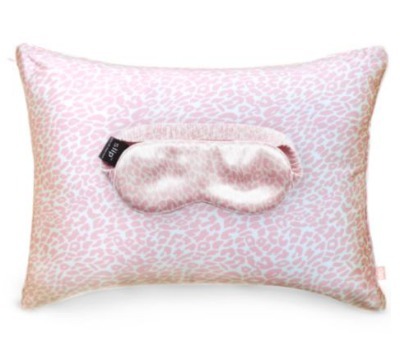 This set features a portable travel pillow and eye mask, both silk, in a gorgeous shade of pale pink. Buy it now. 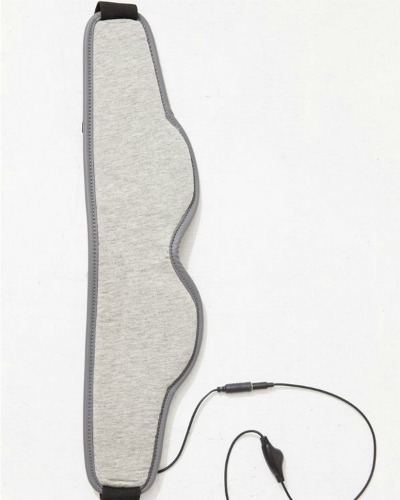 This mask provides heat, massage, and music to help you feel your best – even when you’re jet-lagged. Added bonus: its foldable design makes it easy to stow away upon arrival. Buy it now. Travel in style (and stay organized) with this value-packed set, which includes a passport case, an eye mask, a hair iron case, and luggage tags. The metallic eye mask is ideal for some much-needed R&R as you make your way to your next destination. Buy it now. Buy it now. 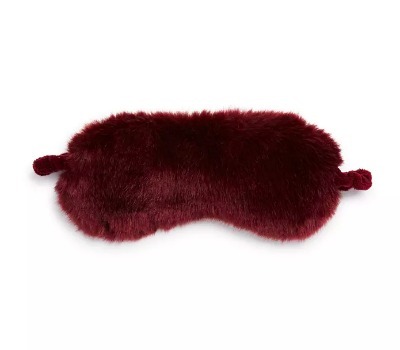 If you love eye-popping accessories, you’ll want to add this faux fur eye mask to your shopping cart. The best part? 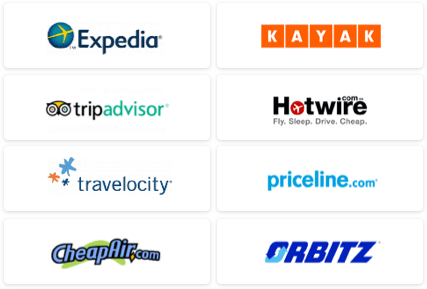 You can nab it on sale for nearly 70 percent off its original price. Buy it now. This mask features integrated headphones and comes with an audio cable so you can listen to music hands- and (earbud-) free. Buy it now. 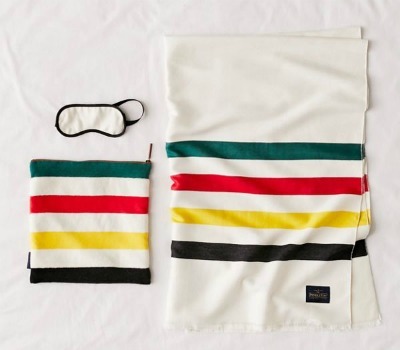 This three-piece travel set includes a cozy blanket, eye mask, and a convenient carrying pouch for easy storage when it’s time to pack up and get going. Buy it now. 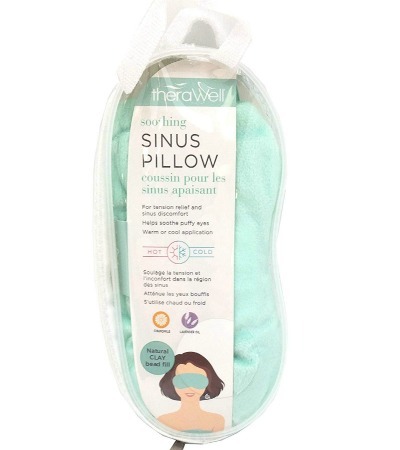 This ultra-plush soothing mask works to relieve tension or discomfort in the sinus area. It’s fragranced with lavender and chamomile for a much-needed pick-me-up after a long day of traveling. Buy it now. For a splendid splurge, consider this versatile two-piece set that includes a black cashmere scarf and matching eye mask. Buy it now. This three-piece unicorn-themed set is an adorable accent for the tiniest travelers. 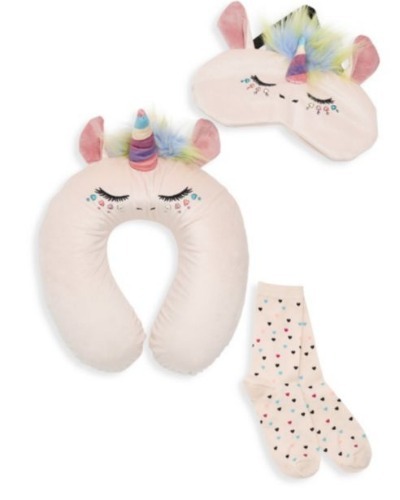 It comes with a faux-fur neck pillow and eye mask, as well as heart-printed socks. Buy it now. 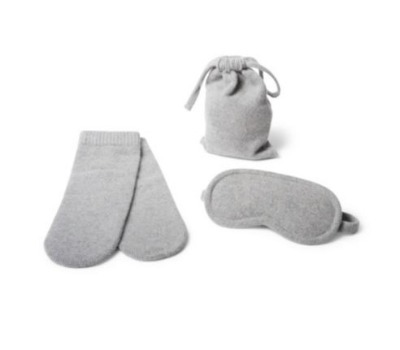 Get a little more comfortable in your plane seat with these snuggly slippers and a matching eye mask. The mask is cashmere and satin, so it’s the perfect accessory for either a cat nap in the car or a deep sleep on an overnight flight. Buy it now. 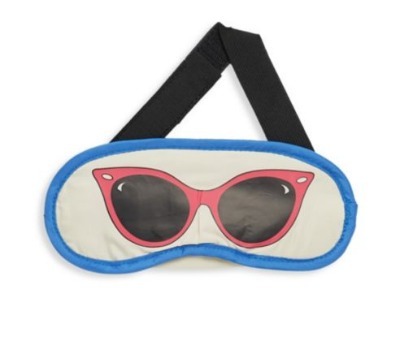 You can’t go wrong with this fun, funky sunglass-print eye mask. Plus, its soft velvet lining means you won’t have any annoying marks or imprints on your face by the time you arrive in your next destination. Buy it now. 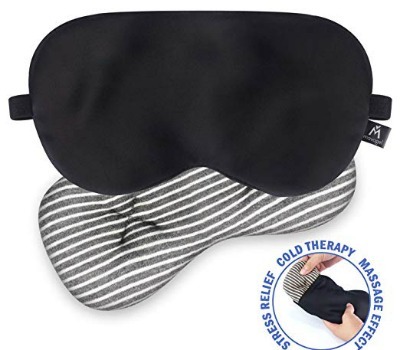 This silk eye mask comes with a removable eye pillow to help alleviate discomfort and provides compression and cold therapy for headaches and puffy eyes alike. Buy it now.